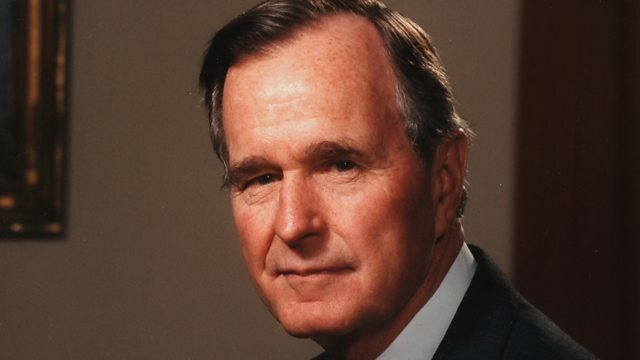 Former President George Bush Senior gave up his lifetime membership of the country's most powerful gun-lobby, the NRA, in 1995. His speechwriter tells Witness why. Former President George Bush Senior gave up his lifetime membership of the country's most powerful gun-lobby, the NRA, in 1995. Claire Bowes has been speaking to his speechwriter, Jim McGrath, to find out why the 41st President turned his back on the National Rifle Association, a body so closely associated with political power.